Product prices and availability are accurate as of 2019-04-14 19:06:11 EDT and are subject to change. Any price and availability information displayed on http://www.amazon.com/ at the time of purchase will apply to the purchase of this product. 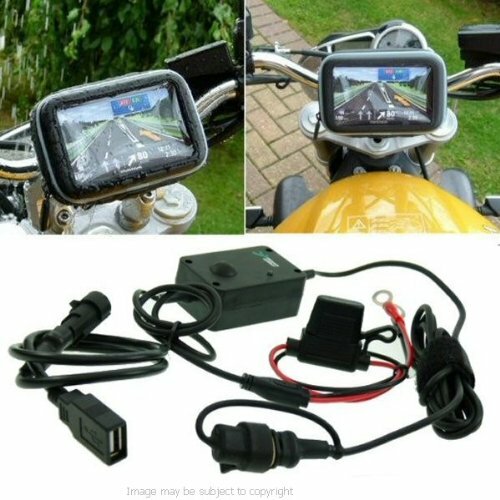 USB fitting direct to battery powered motorcycle mount kit for most 6" widescreen GPS systems. Protect from damp weather & rain showers. Complete mount, just fit to bike and add your satnav. Fits GPS Satnav devices with a maximum size of 14.35cm x 9.42cm x 3.5cm. 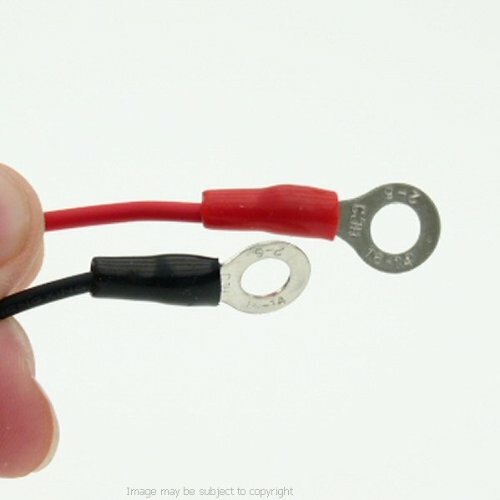 1 x motorcycle direct to battery charging cable with a USB power connector. Secure handlebar fitting for handlebars from 16mm up to 33mm. Ball joint pedestal design offers maximum adjustment. Tightening ring to secures position. Includes 2 x rubber inserts to cushion & protect handlebars. Protection from damp & showers. Supplied with 5 support pad to enable devices of varying sizes to be inserted. Weather cap to cable ONLY - Leave the charger connected to your bike & add power connector as needed. NOTE: This USB connector is NOT weather / waterproof. 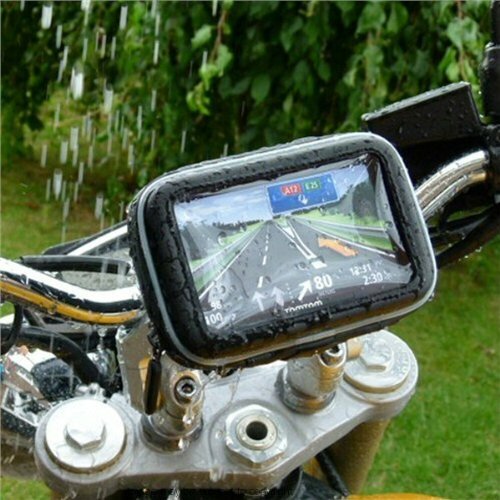 Case for most 6" screen satnav's with USB fitting direct to motorcycle battery charger. Waterproof, protect from damp weather & rain showers. Use your car satellite navigation GPS on your motorcycle. This kit contains all you need to hold and power direct from the bikes battery. Suitable for SatNav devices no larger than 14.35cm x 9.42cm x 3.5cm. Secure handlebar fitting for handlebars from 16mm up to 33mm. Includes Case, Mount & USB hardwire battery cable.